Things got very real for Ronda Rousey during a session with Tyler Henry — when the “Hollywood Medium” made a connection with her father … who took his own life when she was only 8-years-old. Henry — a self-described “clairvoyant medium” — told Ronda he was seeing imagery connected with a a vehicle and someone’s final moments. Ronda instantly become emotional and revealed that her father took his own life inside of a car after suffering from a debilitating medical condition for years. 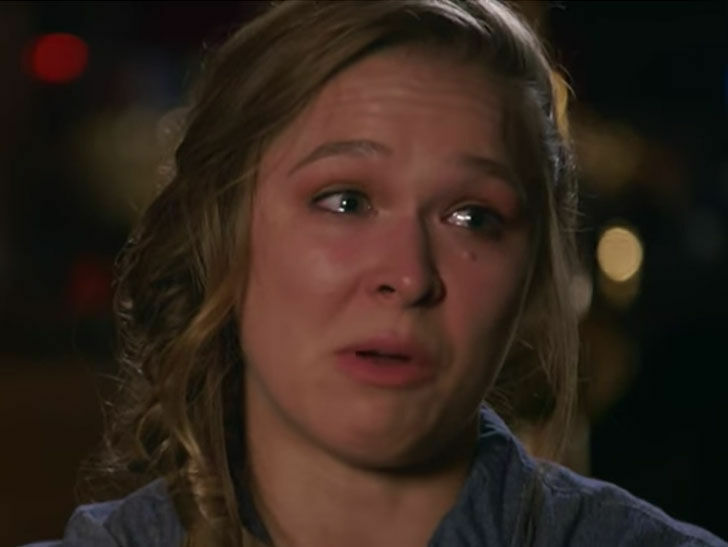 The UFC legend (turned WWE superstar) began recalling memories of her father and started to tear up during the episode which airs Wednesday on E!.